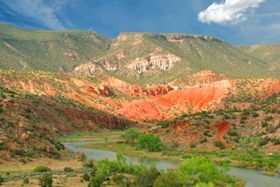 Join S outhwest Seminars and David Grant Noble for an archaeological journey on the scenic Yampa and Green Rivers through Dinosaur National Monument. This 7-day, 7-night trip begins with a reception and a welcome dinner the first evening, followed by day exploring famous Fremont culture rock art panels and the Dinosaur Quarry. The highlight of the day is rafting for five days through 71 miles of vividly colored canyons while exploring prehistoric rock shelter and remote archaeological sites and 4 nights camping under the stars. We return to Vernal for a farewell dinner and one last overnight. The trip includes all lodging, meals, river and rafting arrangements and quality time with the engaging David Noble. 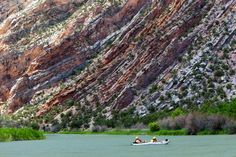 The river trip will begin at Deer Lodge Park in Dinosaur National Monument. We float through the beautiful canyons of the Yampa River for three days, reaching the confluence with the Green River in Echo Park, so-named by John Wesley Powell on his famous 1869 expedition. Along the way, we’ll see the remains of a pioneer’s cabin, a series of pictographs in the Barrier Canyon style, and Serviceberry Shelter, where Archaic hunter-gatherers camped millennia ago. We’ll also hike to Mantle’s Cave, a huge rock shelter where Fremont Indians stored an astonishing array of specialized items in storage cysts, now in the collections of the University of Colorado, Boulder. In Echo Park we’ll hike to two Fremont petroglyph panels and along the way cool off in Whispering Cave. After passing by some awesome geologic formations, we’ll enter Whirlpool Canyon, also described in Powell’s account, and camp where he did, at Jones Hole. 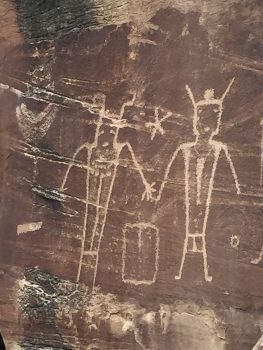 We’ll hike up the Jones Creek (good trout fishing) to Deluge Shelter, another Archaic camp, and view several Fremont pictograph/petroglyph panels of anthropomorphic figures. A short hike leads up Ely Creek to a waterfall.On our final day, we’ll emerge from the canyons for a leisurely float through Rainbow Park followed by an exciting ride through Split Mountain and its series of rapids. The Yampa is the only remaining free-running, undammed tributary of the Colorado and its flow level depends on the winter snow pack and spring runoff. We’ll experience low and medium-level rapids as we go. Set among towering red cliffs and ancient ponderosa pines, we may see a variety of wildlife, deer, eagles and big horn sheep along the shoreline. n rivers since 2000 and has led tours for Southwest Seminars for more than 15 years. David will give talks at archaeological sites and talks in the evenings. We will learn about the archaeology of the Desert Archaic and Fremont cultures through David’s lectures and hikes. DETAILS: The trip will be in 18-foot oar boats with 4 guests to a boat. You may kayak for part of the trip if you wish. Our outfitt er will be Dinosaur River Expeditions, family owned and locally operated in Vernal Utah and staffed by experienced and knowledgeable river guides that love sharing the beauty, the history and the wildlife of the mighty Yampa River of Colorado and the crystal clear waters of Utah’s Green River of the Flaming Gorge. Our guides double as excellent outdoor chefs for our meals along the river. This an active trip that involves hiking, rafting and camping. INCLUDES: This 7-day and 7-night tour includes: Full outfitter services for 5 days of rafting in 18’ rowed boats including 4 nights camping (no charge for the stars). Three nights lodging at Landmark Suites in Vernal, Utah (2 nights before the rafting trip and 1 night after). All meals in Vernal and on the river. Study Leader honorarium, all gratuities, all admissions and fee for our service. SLEEPING KIT: Sleeping bag, pad and pillow $40 pp. Tents are $20 more. Or bring your own gear. 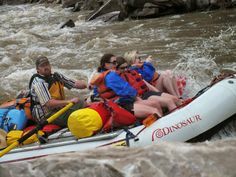 Join Southwest Seminars for 3-days and 2-nights rafting the Rio Chama led by Dr. Tim Maxwell as we learn about the na tive history of the river and its valleys that served as a natural corridor from north to south for millennia. 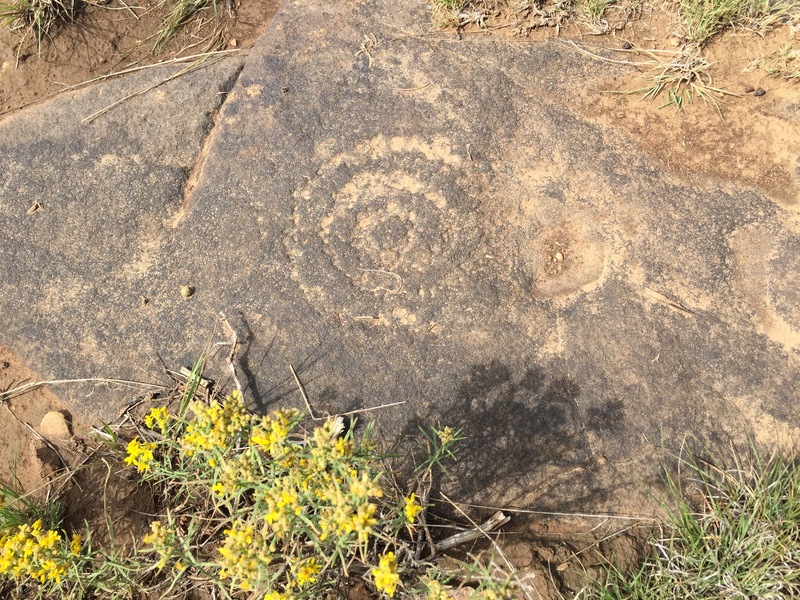 Learn about the history of the Early Paleo and Folsom people traveling the Chama River Valley thousands of years ago and their high quality chert for stone tools was found on the prominent Pedernal Peak . Learn about nomadic residents living 3,000 years heavily used the region as evidenced by obsidian spear points and ancient living sites. After the depopulation of Chaco Canyon and Mesa Verde new people entered the area and created communities along the river and its tributaries. By the mid 1300’s they built some of the largest prehistoric pueblos in the ancient Southwest by using a rock and gravel mulch grid gardens . Learn about the settlement by Spanish colonists, Native hostilities and the floods of the raging Chama River and the dams that finally tamed the river. Visit a grid garden on the last day of the trip. Dr. Maxwell will share knowledge of the native peoples, history, and the agricultural field systems of the Rio Chama. He is Director Emeritus, New Mexico Office of Archaeological Studies and conducted extensive mapping of Chama River cultural sites and the agricultural field systems of the Rio Chama. Lyle Balenquah is a member of the Greasewood Clan from the Village of Bacavi on Third Mea. For over 15 years he has worked throughout the American southwest as an archeologist documenting ancestral Hopi settlements and lifeway’s. He has worked with the National Park Service, the Hopi Tribe and thee museum of Northern Arizona and combines his professional knowledge and training with personal insights about his ancestral history to provide a unique form of public education. Join us fo r a rare visit to Kuapa, the ancestral village of Keres-speaking Cochiti Pueblo and San Felipe Pueblo. 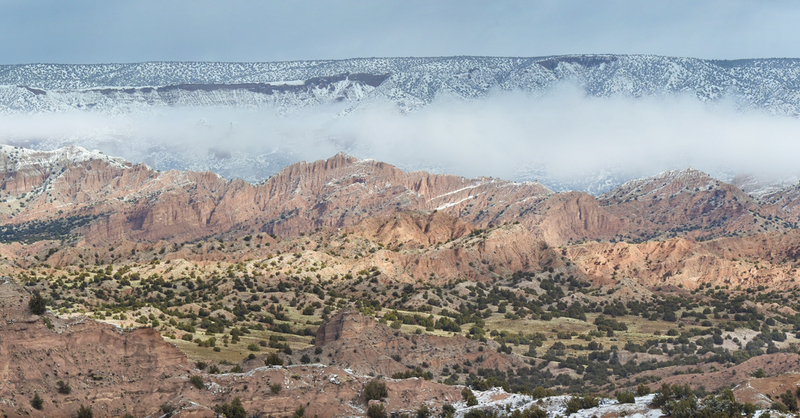 Located south of Bandelier on a high scenic ridge along the Canada de Cochiti Creek, Kuapa is said to be the largest village on the Pajarito Plateau. With seven kivas, 21 room blocks, plazas and other features, it also includes a sophisticated hand-built acequia and Spanish Colonial hacienda with large plaza and corral. Accompanied by Dr. Joe Suina, former governor of Cochiti and Dr. John Ware, former director at the Amerind Foundation, Lab of Anthropology and MIAC we will learn about Cochiti pre-contact history and culture. Spanish Colonial contact, conflict, and the Pueblo Revolt and resistance. 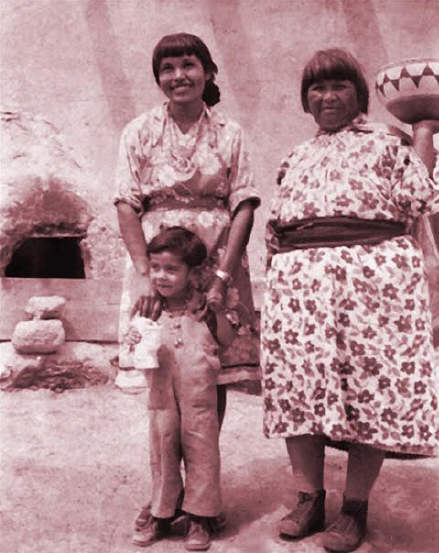 Nominated for National Register of Historic Sites, Kuapa was recently returned to Cochiti Pueblo by the New Mexico State Land Office in an important land transfer which saw the pueblo regain almost 9,500 acres including shrines, sites of ancient villages and hunting grounds, the ‘Heart and Soul of the Pueblo of Cochiti. After lunch we visit Arnold Herrera in his matrilineal home on the plaza of the Pueblo of Cochiti and learn about his work as a drum maker. Arnold is a recipient of the New Mexico Governor’s Award for Excellence in the Arts. He believes that the drum is the ‘Heartbeat of Mother Earth’ and ‘if one believes in the spiritual nature of the drum, then the miracle and prayers are heard. He is a master storyteller, drummer, and singer and has been widely recognized for his positive impact on others. “In our Pueblo world, the need to learn and teach our youth becomes greater as the Creator calls our elders home to paradise. I will continue the path of sharing.” Easy access. Donation to Cochiti site preservation, honorarium for study leader and artist visit, lunch included. $125 pp. Chaco Canyon, the center of the “Chaco Phenomenon,” has inspired and puzzled generations of archaeologists. Who lived in this seemingly desolate place and why? What did they do here? What was their connection to distant pueblos with similar architecture? David Noble will discuss these and other topics during out time in the canyon. Explore beyond ‘Downtown Chaco’ to some less visited sites and appreciate the larger Chaco region, including Tseh So and sites where the University of New Mexico conducted field schools. We will hike the 3.6 miles South Mesa Trail Loop to Tsin Kletsin, (3 hours) on the South Rim with a visit to the important great kiva at Casa Rinconada. The next day we’ll hike the (5 mile/4 hour) North Mesa Trail Loop to Pueblo Alto, adjacent to the Great North Road, and the famed Jackson Staircase with magnificent canyon overviews of the Pueblo Bonito and Kin Kletso. We’ll also visit the largely unexcavated Hungo Pavi site near the Visitor Center, tour the museum file and its important exhibits, as well as the magnificent Chetro Ketl and Pueblo Bonito. We will take in a special Night Sky Program which will include a presentation on archaeoastronomy, cultural history, and a telescope viewing of celestial objects. 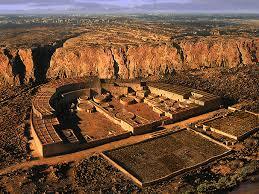 On the way home we’ll tour the Great House outlier Pueblo Pintado. Our 3-day 2-night visit will be centered at the Chaco National Park campground, where our outfitters will provide a luxury and restful camping experience, including catered delicious food and shelter on-site under the stars and the night sky’s pantheon of other heavenly bodies. With less driving back to town for overnight lodging in a town, we will see more…nature, birds, plants, landscape, the sky…basically the full day and night Chaco experience. This study tour is designed to experience 2 backcountry trails while still visiting Great Houses within the central ‘downtown’ area of Chaco Canyon Culture National Historic Park, a UNESCO World Heritage Site. This is an active trip with mostly moderate hikes. Includes tents, sleeping bags and mattresses, all meals, admission and study leader honorariums provided. $700 per person. Journey into the magical Canyonlands of Utah and the spectacular Red Rock Country of the Colorado Plateau for an unforgettable six day, five night experience with exceptional Dr. Kirt Kempter, vulcanologist and geologist and Alan Osb orne, cultural historian. Vast panoramas, dizzyingly deep canyons, dramatically steep cliffs, broad mesas and towering spires, sliced into districts by the Colorado and Green rivers, this is a land of extremes. Our journey on this portion of the Colorado Plateau will focus on sedimentary strata deposited during the time of dinosaurs, when the four corners region was barely above sea level. Today, these strata have been uplifted as much as 10,000 feet, forming broad mesas profoundly dissected by river-carved canyons. From magnificent arches to intricate hoodoos, erosion has worked its masterpiece in the region, revealing the stratums beautiful colors, texture and geology. We’ll meet in Moab on Friday afternoon, arriving at our lodge overlooking the beautiful Colorado River in time for a welcome orientation and lecture followed by a relaxing welcome dinner. On Saturday we will travel from the river bottom to the Canyonlands mesa top via expedition 4x4s for an opportunity to see this spectacular landscape up close, traveling the historic Schafer Trail, an old cattle and mining road famous for its awe inspiring switchbacks. Along the way we will about the legends and stories of cowboys, miners and renegades of this red rock country. Our resident geologist, Dr. Kirt, will point out rock ridges, pinnacles, balanced rocks and the famous White Rim Trail sandstone layer as we learn the fascinating geologic story of the Colorado Plateau. If are lucky (as we were the last time we offered this tour), we might see the bighorn sheep that call this part of the canyon country home. We’ll stop to view and photograph a large collection of 1,000-year-old ancestral Indian petroglyphs, embedded in the sun burnt patina of the sandstone canyon wall We’ll enjoy a special afternoon this day by journeying the calm waters of the Colorado River, traveling Canyonlands National Park’s waterway by boat, traveling through Meander Canyon, taking us deep into the wilderness bordered by red rock canyon walls that soar 1,500 feet above us on either side of the river…stopping frequently to see geologic wonders, historical sites, prehistoric Indian sites and spectacular scenery. We will visit a natural stone alcove called The Grotto and visit a hidden petrified forest where entire trees are exposed. On Sunday we will drive and walk to various scenic overlooks of Canyonlands National Park in the Islands in the Sky District with its majestic scenic overlooks and great photo opportunities. 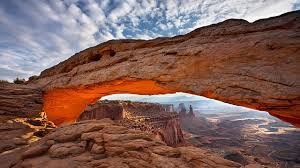 One highlight will be the Mesa Arch Trail, an easy ½-mile loop nature walk among pinon and juniper trees, ending at an arc of precariously perched Navajo sandstone that frames the nearby mountains in its spectacular and often photographed view, one of the most beautiful in Canyonlands. Dead Horse Point, Upheaval Dome and Grand View Point, which overlooks some 10,000 square miles of rugged wilderness, are among many scenic overlooks from which we will choose our route for the day. We devote Monday to Arches National Park, including a view of Delicate Arch, the iconic Utah image featured on all it’s license pla tes. As time allows we will various spectacular view points and also offer some scenic walks to arches within the park, North and South Windows and Double Arch and the Balance Rock Loop. Dine under “real Golden Arches” at our favorite Southwest Seminars’ picnic spot in this unforgettable location. The last full day begins with a hike to the off-the–beaten path Corona Arch…a great 3-mile round trip hike to one of the largest and most spectacular arches near Moab. Also called Little Rainbow Bridge the trail passes Pinto Arch and Bowtie Arch along the way. Composed of Navajo sandstone the arch measures 140 feet across by 105 feet high, immense and fragile at the same time. Tuesday afternoonis at leisure…free time to enjoy the beautiful location of Red Cliffs Lodge, our home for these 5 nights. Featuring an on-site winery, Red Cliffs Lodge is located on the banks of the Colorado River We have reserved private cabins that face the river and feature living spaces with fireplaces. Whether you use your free time to sketch the mighty monoliths that rise above the canyon floor or watch the river flow as you appreciate Edward Abbey’s Desert Solitaire from your private patio, it will be a perfect cap to an incredible trip before the farewell dinner. This 6-day, 5-night program will spend all five nights at Red Cliffs Lodge. All meals are included, full breakfast, picnic lunches, and the nicest restaurants for dinners, as are admissions, educational programming and honorarium for the Study Leader. Most of the hikes are moderate or easy. $2200 PP Double or Single, $500 Deposit to Reserve.